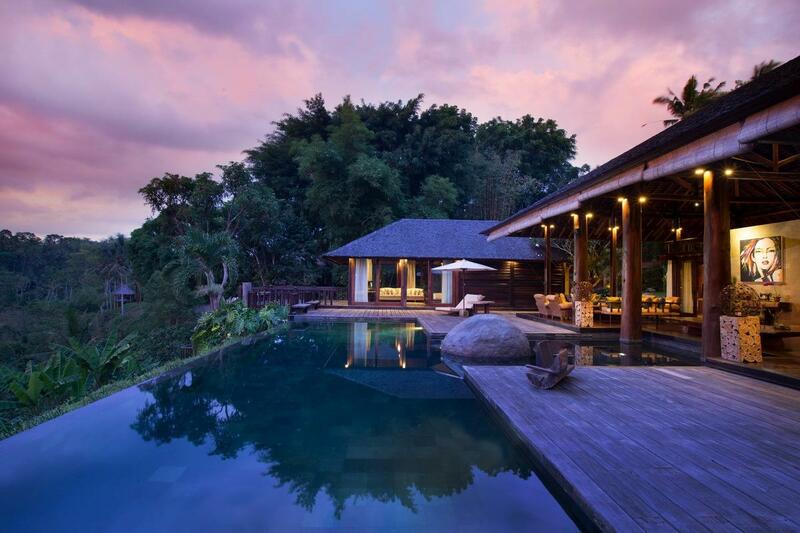 Villa 350 is a sprawling Balinese estate that encompasses just under a hectare of prime tropical landscape in the spiritually charged village of Sayan, Ubud. 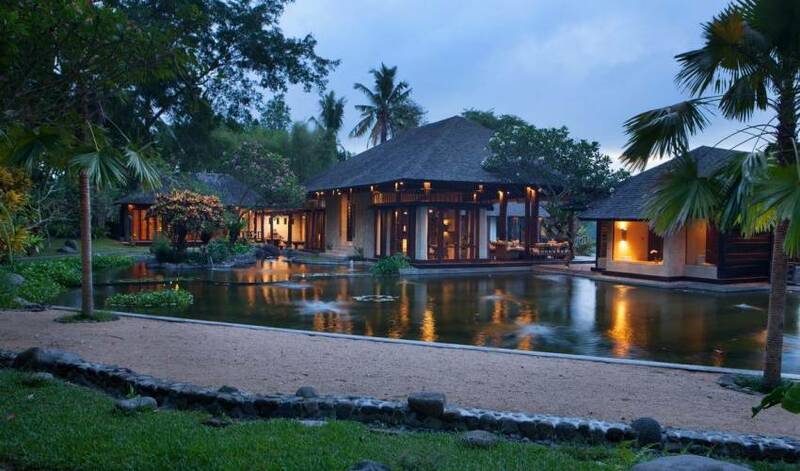 This five bedroom retreat is the epitome of island elegance and has been thoughtfully designed to pay tribute to Indonesia’s rich artistic heritage. Built with absolute privacy in mind, Villa 350 is a place to escape the complications of the outside world. The most distinguishing aspect of this impressive estate is its size and uncanny sense of belonging. 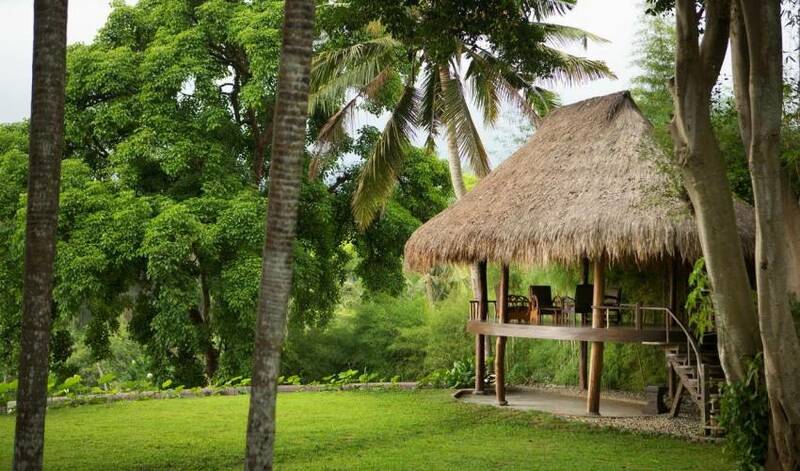 There are various spots scattered around the property for quiet time alone including a reading tower, a massage hut and an elevated Balinese relaxation pavilion. 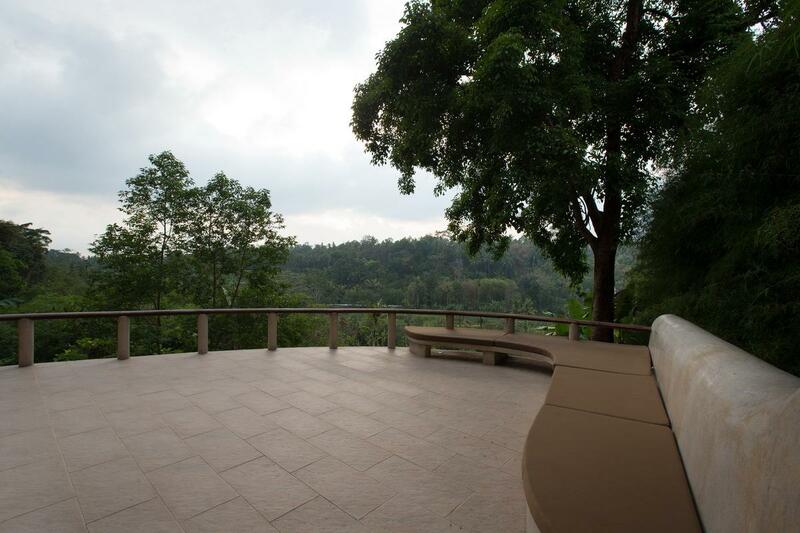 Villa 350 overlooks a branch of the Ayung River in a setting surrounded by dense valley greenery. It is a breathtakingly beautiful area where nature remains largely untouched by the passing hands of time. 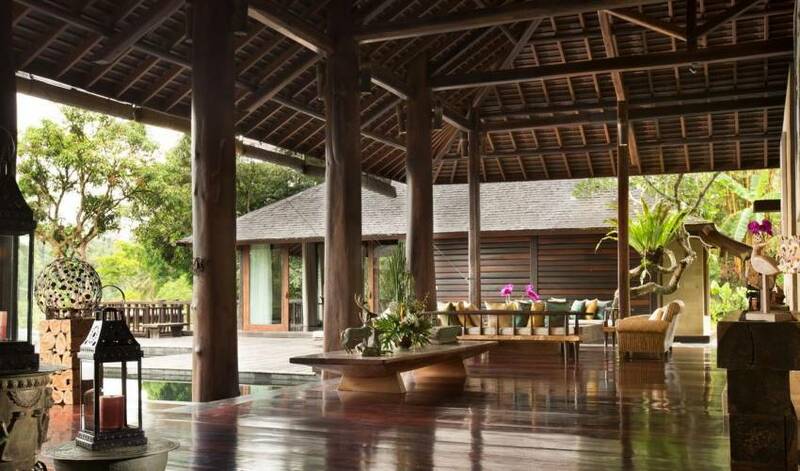 The local village is home to a number of high-end hotels including Four Seasons Resort at Sayan. The opportunity to stay at Villa 350 promises a luxurious Balinese experience where every need is taken care of before it is even realized. It is the ultimate sanctuary for the senses and the perfect place to rediscover the pleasure of taking each day as it comes. 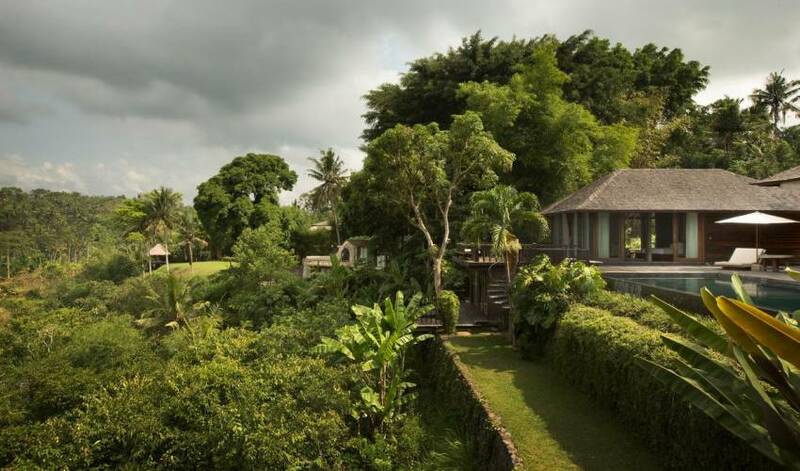 Villa 350 celebrates the basic principles of traditional Balinese architecture where every structure has a distinct sense of space and purpose. 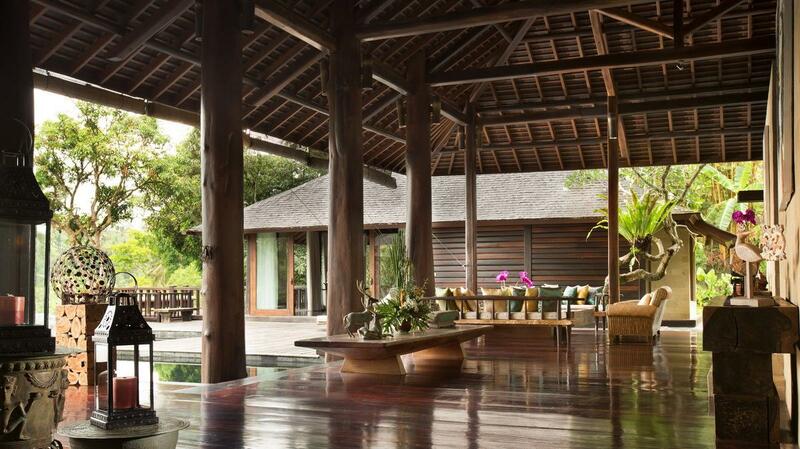 Indigenous materials such as stone and reclaimed timber have been used throughout to ensure that the entire property is sensitive to the surrounding natural environment. An elegant living pavilion takes pride of place in the centre of the property and is edged by an enormous pond on one side and a T-shaped swimming pool on the other. It is impressive open-plan structure supported by solid timber columns with an air-conditioned sitting room and adjacent media room at the back. There are also two cleverly concealed areas accessible only by narrow wooden steps where guests can meditate or practice yoga.The formal dining room is a separate pavilion resplendent of a bygone era featuring a full length timber table and mood-enhancing light fixtures. Alternatively, a shaded terrace is available for more casual dining experiences. This area has a wood fire oven that can be used to cook pizza, bake bread and create other culinary delights. The main kitchen is essentially a service area with its own walk-in pantry. The master bedroom is a private sanctuary with walls panelled in reclaimed timber. 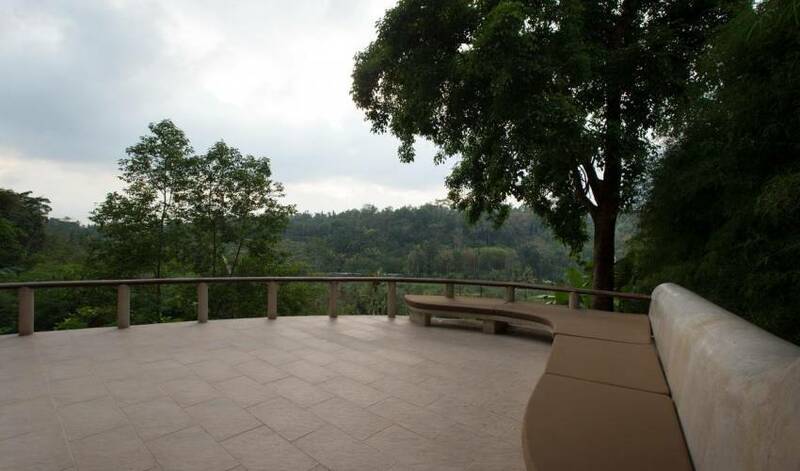 It is a comfortable environment with its own terrace and a unique seating pod facing the serene beauty of a tropical forest. The en-suite bathroom has been created for spa-inspired indulgence with a stone tub and overhead rain shower. 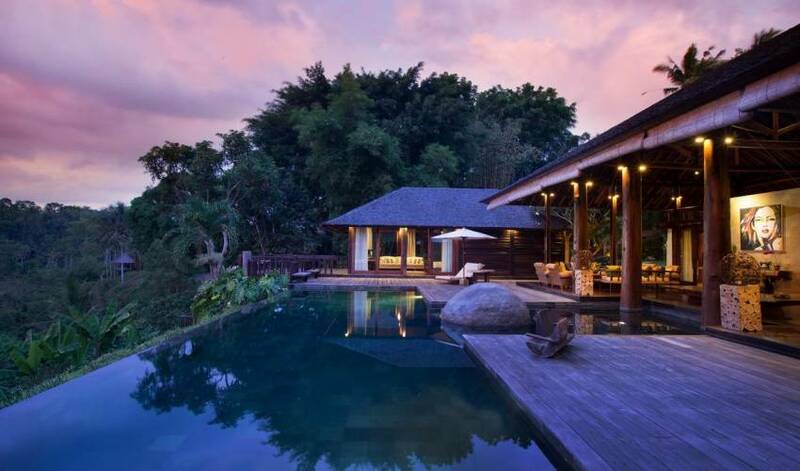 There is also an outdoor bathing area set up with a rustic shower and Jacuzzi to leisurely soak away muscular tension. 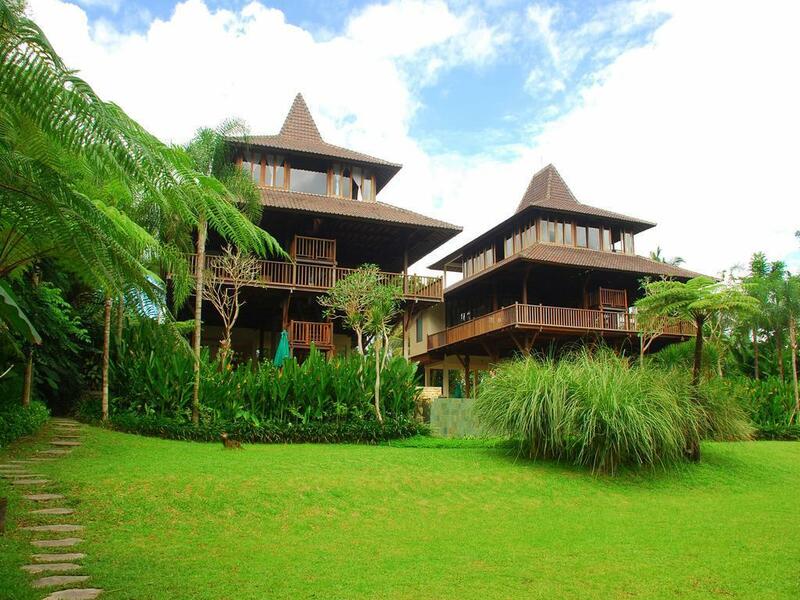 Two more tastefully-appointed bedrooms are located on the other side of the swimming pool in a tiered structure. Both rooms share the same modern home comforts and meticulous attention to detail. The upper level bedroom has a smart en-suite bathroom plus its own terrace for added privacy. The smaller bedroom below is panelled entirely in dark timber to create a restful effect. A separate guest wing is suitably distanced for the rest of the property and features two additional bedrooms built to follow the contours of the sloping landscape. They are slightly different in style and have been designed using polished concrete and curved lines resulting in a more contemporary appearance. 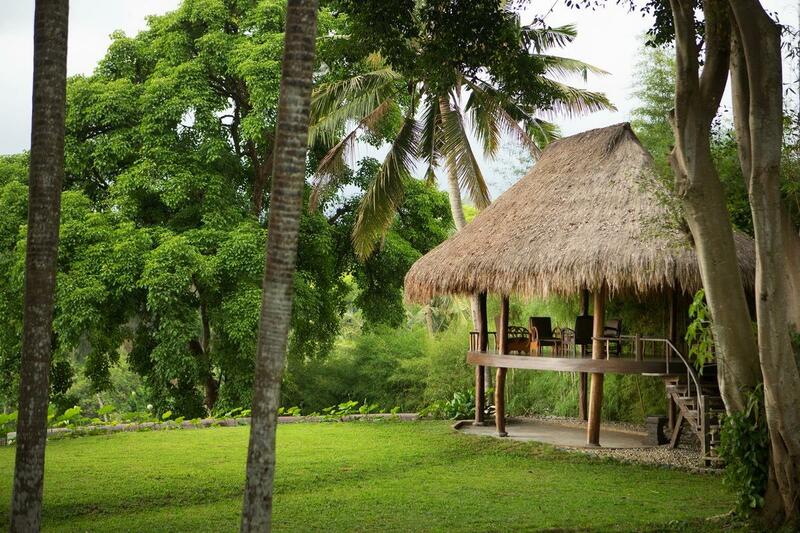 In one corner of the garden there is a traditionally thatched lounging pavilion that is elevated to capture sweeping views of mature trees and swaying coconut palms. A large stretch of manicured lawn lends itself to outdoor events such as an intimate wedding or private party. A charming wooden pavilion at the end of the garden can be used as a convenient dressing room for special celebrations. It can also be set up as an extra bedroom should the need arise. 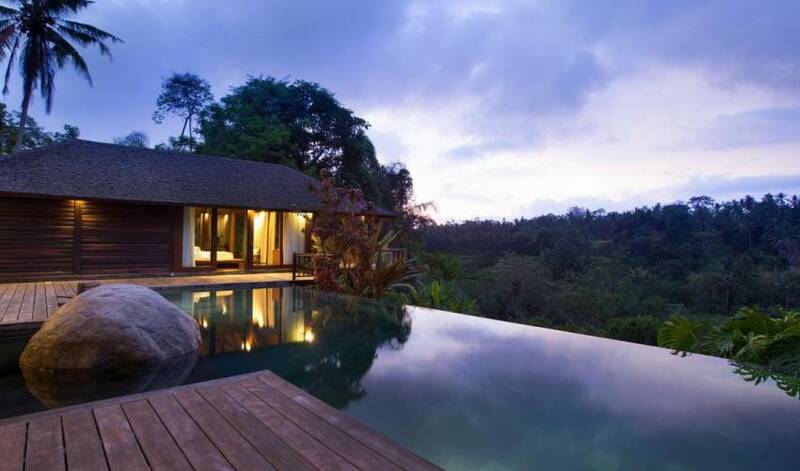 Villa 350 is located in the village of Sayan amidst a lush tropical forest on the outskirts of Ubud. It is close to Four Season Resort at Sayan and Gaya Fusion, a contemporary art space specializing in handcrafted ceramics. The lively cafes, restaurants, boutiques and traditional marketplace of central Ubud can be reached in just 15 minutes by car. Sayan is a culturally rich area where the Balinese way of life is coloured by an endless cycle of ceremonial rituals to appease the gods. The village is a network of small lanes featuring home compounds and productive rice terraces. Descending down to the Ayung River, Sayan exudes a timeless beauty that has the ability to rejuvenate body, mind and spirit. 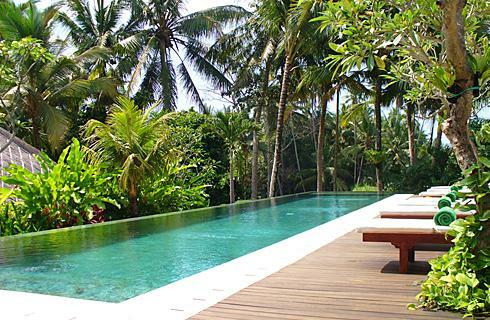 Villa 350 is a 45 minute drive from Ngurah Rai International Airport. Cycling, trekking and white water rafting are popular activities that can be experienced close to the villa. Local sites of interest include a number of ancient Hindu temples and a sacred monkey forest. 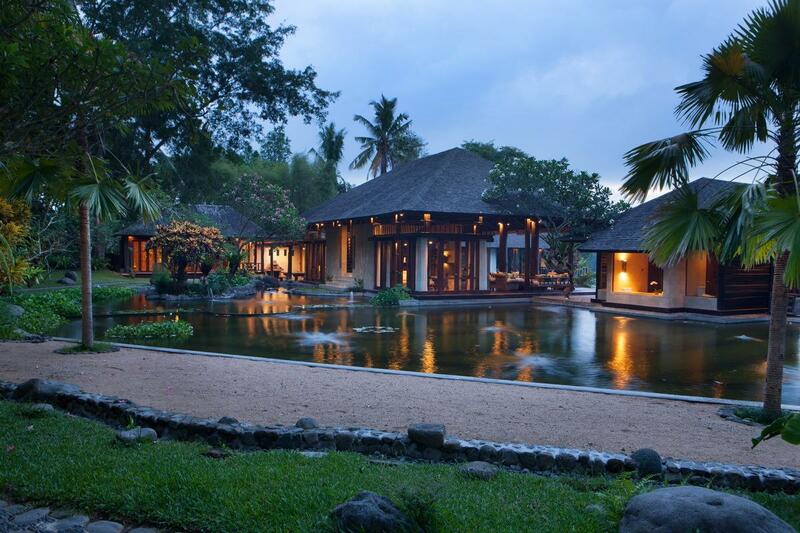 Nearby Ubud is known in particular for its performances of traditional Balinese dance and music.